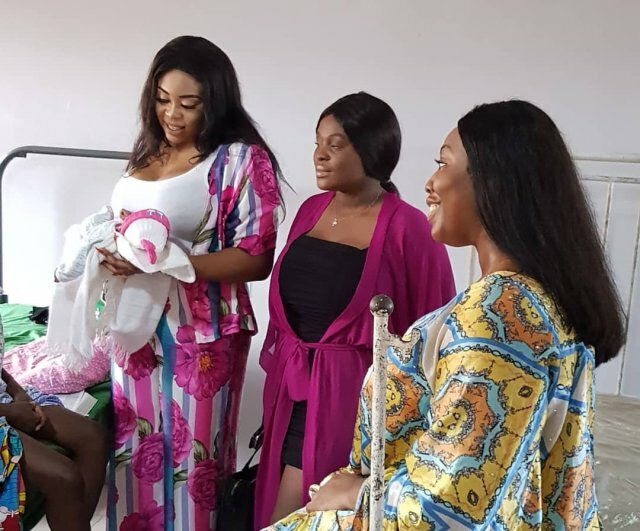 Nollywood actress, producer and beautypreneur, Mimi Orjiekwe continued her birthday yesterday by celebrating with mothers who just got delivered of their babies. 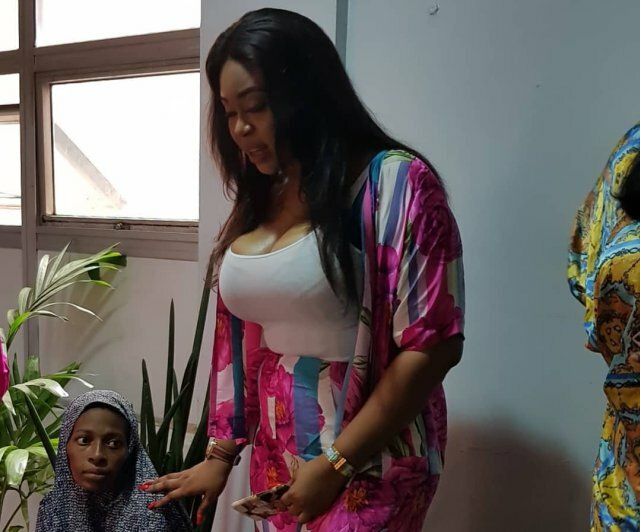 The actress went to the biggest maternity hosital in Lagos, ‘Island Maternity Hospital’ to distribute gifts and baby items to mothers and their babies. Some patients at the hospital who couldn’t pay their hosital bills were relieved of their debts. Mimi spent about half a million on paying debts owed by some patients at the hospital.